Two executive managers who were jailed after their £400,000 fraud forced a training charity into closure and the loss of 40 jobs have been ordered to hand over their cash - or face more years behind bars. Joanne Mounter and Paula Bolan, with the help of training assessor Kym Norman, created fictitious clients at Team Wearside so they could con cash out of their subcontractors for costs. As a result of the "sophisticated" scam, Sunderland College was duped out of over £300,000 and training firm Springboard was fleeced of around £100,000. 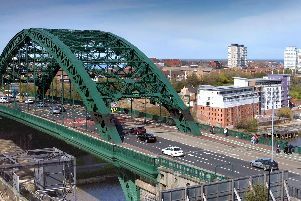 After the high-level dishonesty was exposed, the two well-established and respected city businesses ceased trading with Team Wearside, a non-profit£400k fraudsters organisation closed for good. Mounter, 46, of Minster Court, Willington, admitted three fraud charges and pocketed a total of £186,306 in the scam. Bolan, 45, of Lonsdale, Birtley, admitted two charges in relation to the £177,662 she obtained. At Newcastle Crown Court in March both of the women, who conducted the con for more than two years, were been jailed for four years and four months, each. The pair were back in court yesterday after prosecutors launched an application under the Proceeds of Crime Act to seize any assets they may have. Prosecutor Stephen Littlewood told the court Mounter has £102,800 in assets and Bolan £138,138. The women, who were transported from custody to attend the hearing, have three months to hand over the payments. Mr Littlewood said once the monies are in the possession of the police, Sunderland College will be reimbursed £159,741 and Springboard charity will get £81, 195. Tony Davis, defending Bolan, said the cash to be seized from her will be raised from the sale of a flat in Scotland. Judge Penny Moreland told Mounter: "If you fail to pay the money which has been identified, the sentence in default is two years." The judge told Bolan: "Your sentence in default is two years and three months." Norman, 53, of Stratford Avenue, Grangetown, Sunderland, admitted one charge in relation to £40,426 he made in his involvement, which lasted about 12 months. He was jailed for two years and two months and was ordered to surrender £29,402 at a previous hearing. The court heard at the last hearing a "whistleblower" had reported financial regularities at Team Wearside, which was funded by a government backed agency, was established more than 25 years ago and helped unemployed people train for work, which resulted in an investigation. A number of people were initially suspected of being involved in the fraudulent activity and were all suspended on November 29 2016, which included innocent colleagues of the three. Defence barristers said at the sentence hearing all three were formerly respected workers who are now deeply sorry for their involvement. Peter Schofield, defending Mounter, has been a hard-working, single mum since the sudden death of her husband when she was pregnant with her youngest child. Mr Schofield said Mounter, who turned to gambling, feels "deep shame" for her behaviour and wished to apologise for it. Tony Davis, defending Bolan, said the former respected worker had a "monumental addiction to gambling" and is "at a loss" to explain how she allowed herself to get so out of control. Mr David added: "Her whole life is utterly destroyed as a result of her involvement in this." John Caudle, defending Norman, said the assessor's involvement was on a much smaller scale and he put away cash to pay back what he took. Mr Caudle said Norman has health problems and was known as a "vulnerable individual" when working at Team Wearside.